Update: We’ve had the most horrendous thunder, lightening and rain storm but no tornado thank goodness. All’s well. Well, we certainly didn’t bring the good weather with us to Hot Springs! Today we had a severe weather warning of rain, thunderstorms and even maybe a tornado! At the moment we have thunder all around us. So, what is Hot Springs all about? 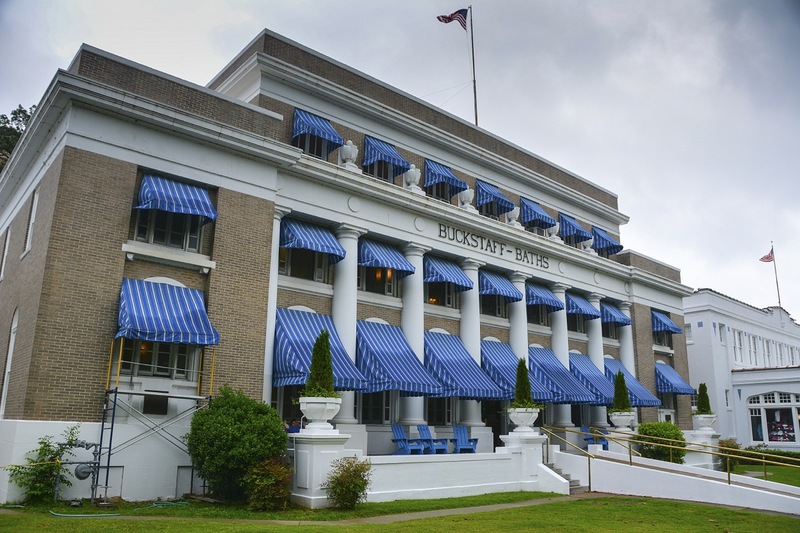 Hot Springs is known as Hot Springs National Park (it was the first US National Park) and takes its name from the 47 natural springs on the western slope of Hot Springs Mountain. Originally Hot Springs was within the lands transferred to the US when the Louisiana Purchase was negotiated in 1803 and was home to the Quapaw Nation of Indians. 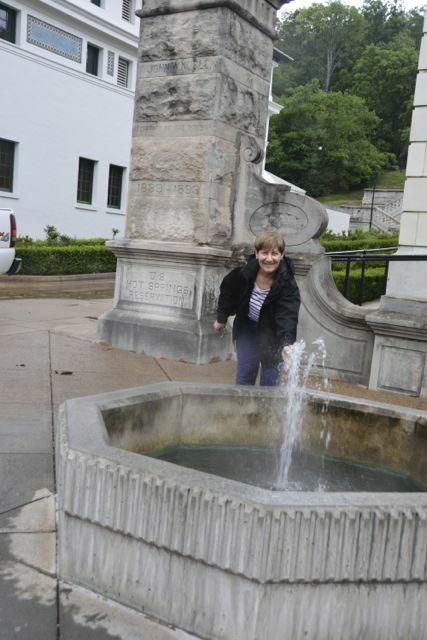 It sits on thermal spring water and in 1809 when European settlers reached Hot Springs, they quickly realised the benefits of providing lodging and board for the visitors seeking relief in the hot spring waters. By the 1830s a small town had appeared. Between 1879 and 1895 the frontier town had been transformed into an elegant spa city with word-class hotels and Bathhouse Row where the Victorians would come to ‘take the baths’ to help relieve their aches and pains while curing their ills. By the 1960s the bathing industry had declined and the bathhouses began to close. 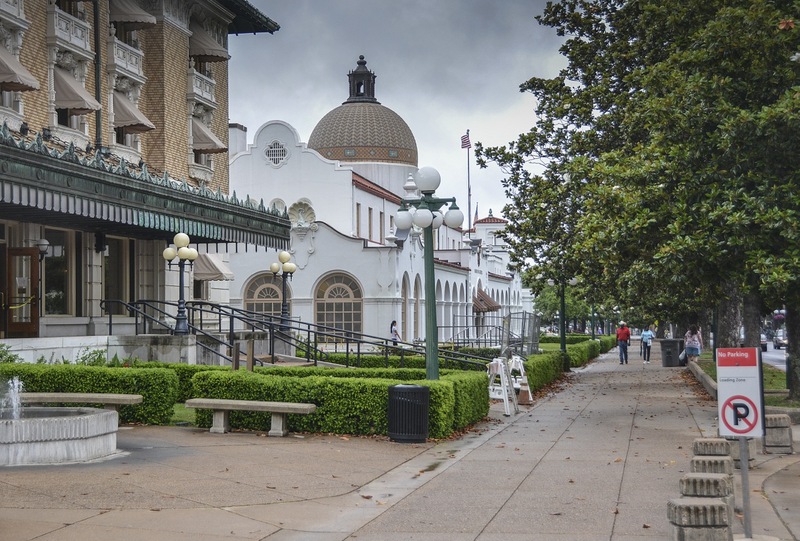 Bathhouse Row was placed on the National Register of Historic Places on 13 November 1974 and refurbishment started on the closed properties. Today, two are open again for use. An area of 5,500 acres provides approximately a million gallons of spring water a day and the water rising from the hot springs today fell as rain when the great pyramids of Egypt were built – 4,400 years ago (they have confirmed this through carbon dating the water) and the rain falling today will rise to the surface, heated and mineralised, 4,000 years in the future! The water becomes heated at a depth of about one mile before beginning its journey back to the surface. It reaches the surface at 147 degrees fahrenheit or 64 degrees celsius!! As you walk along the street there are small fountains and sure enough, when you put your hand in the water it’s very hot. We did manage to drive a couple of the scenic routes today and for lunch stopped off at the Ohio Bar and Grill in the Downtown Historic District of Hot Springs. The food was excellent. 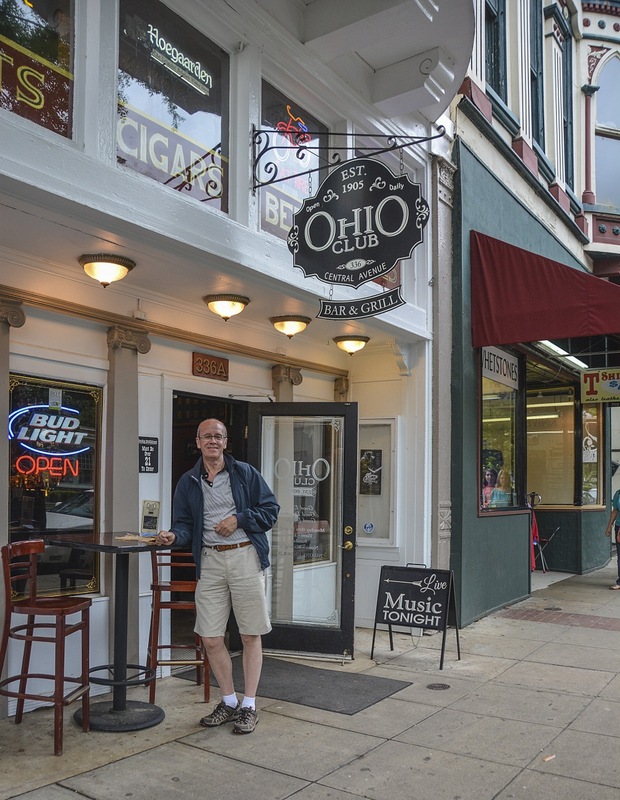 The Ohio Bar first opened in 1905 and is said to be the oldest bar in Arkansas and its patrons included the likes of Al Capone, Mae West, “Lucky” Luciano, “Bugsy” Siegel, Frank Costello and other mobsters who frequented the Club for gambling and drinking. 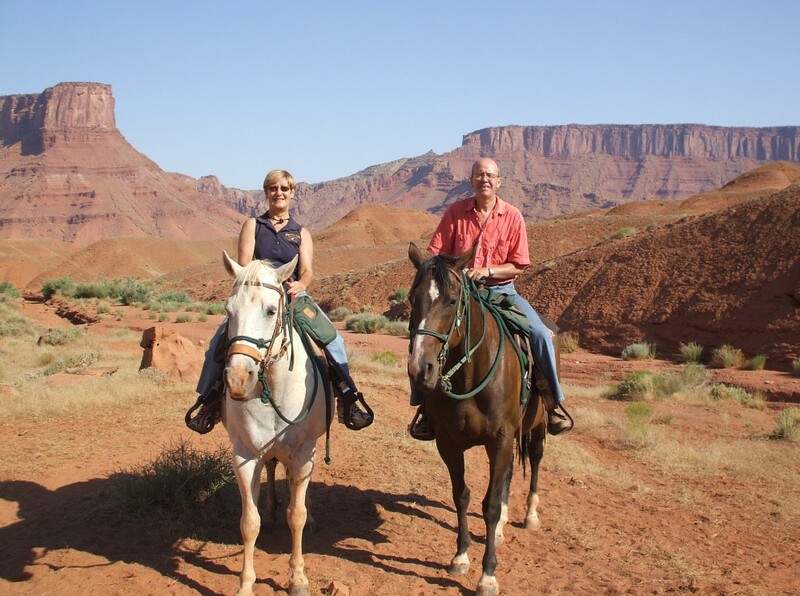 It’s also rumoured that Teddy Roosevelt and Bill Clinton stopped by (although not together of course!) 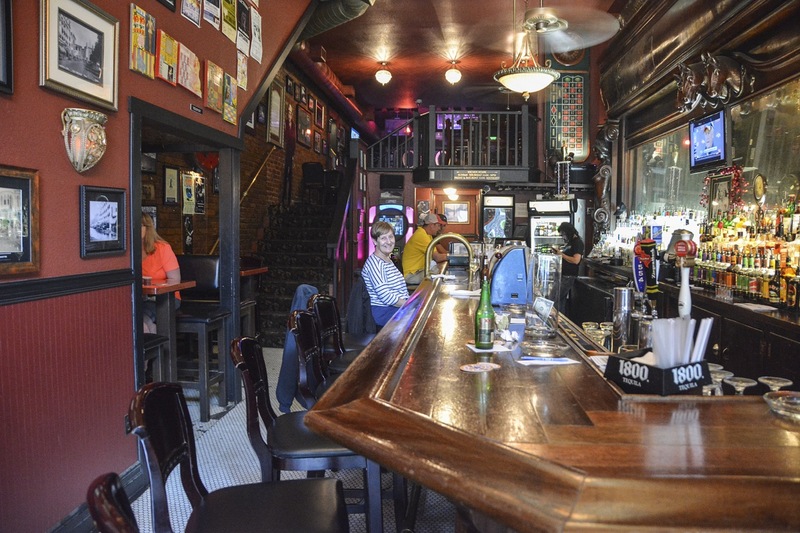 The bar is still more or less as it was back in its heyday with mirrors, fans and lights and has a massive 19th- century mahogany back bar measuring 15-feet-high and 24-feet wide with hand-carved horse heads and a mirror. It’s believed to have come originally from Cincinnati and investigations are taking place to find out why it has the horse heads and also two ships’ mastheads either end of the bar. Tomorrow we aim to ‘take the baths’ ourselves at the Buckstaff and experience what the Victorians so loved about Hot Springs!! Watch this space!! Yes Sandra, I’m glad you survived the nasty weather. It certainly is scary. You’ll need the baths to soothe your nerves. These are public baths, right? Soooo, how do they work. I can just picture you and Si in togas! That’s nice that you were able to tour the area and see some sights…other than a tornado!